Following paragraph gives information on importance of praying with spiritual emotion at the time of Shraddha. 2. What is the exact significance of child death as per Sanatan dharma? What happens to soul when dies as child. Will it take same journey as “Pitrus“? or any other gati? Is the reply yes? i.e. is it the same as other ancestors? For children till their thread ceremony is performed, if they die before that, then their gati (further journey) depends upon thier deeds, give-and-take account etc of previous birth. Since in this birth they may not have added anything to it. Otherwise there is no other difference as compared to other pitars. Birthday celebration not being any festival or Vrat there are no such restrictions. 4. Is it necessary/mandatory to perform Ekadrishti Shradha every year after duly performing Gaya Shradha of my Father? Shraddha means faith (श्रद्घा). One has to constantly remember favours done on him by his ancestors, sages, God and society and try to repay 4 debts (debts to ancestors, society, sages and God). This has to be done through bhav (spiritual emotion). Shraddha is the means for repaying debt to deceased ancestors. If one is not able to do the ritual, at least one can stand in the water (river) and perform tarpan. Ritual is not important, but the faith and bhav is. 5. At what age can Aatma Shraddha be performed? This shraddha can be done once by the person any time during his life time. 6. 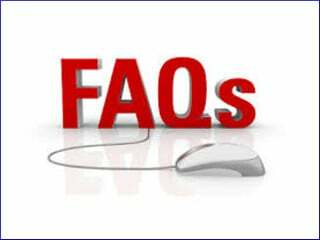 A Jivatpitruk is not allowed to perform Pitrutarpan, therefore, I want to know the difference between ‘Tarpan‘ & ‘Pitru Tarpan‘ as both types are done for ancestors’ souls (pitar) and on which ocassions it is performed? My father is alive and I am the eldest son. Can I do the ‘Tarpan‘ for my grandfather and where should I do it? 7. As per the article on ‘Problems due to ancestor’s soul’, ‘having all female progeny’ is a ‘problem’ in life. Is it valid in today’s world when the birth rate of female is lesser than male? If single gender progeny is a problem, then ‘all male progeny’ should also be mentioned as a problem. The implication of having only female progeny is that further continuation of propagation of family of that person is stopped. 8. 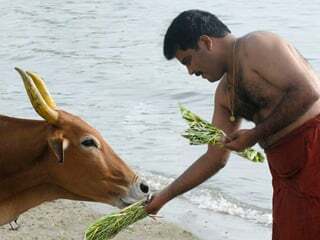 The priests performing the Shraddha rituals are sometimes illiterate and have poor pronunciation of Sanskrit language. I had a Shraddha ceremony performed at the banks of mother Ganga and was not satisfied by what the priest was chanting. I wonder if the Pitars are pleased and satisfied? Nowadays since most people do not perform rites for the departed (shraddhas), etc. as in the olden days nor undertake spiritual practice, most suffer due to the subtle bodies of ancestors. Only saints can tell whether one is suffering or will suffer due to ancestors. If one is not fortunate enough to meet such a saint then considering that certain suffering is inflicted due to ancestors’ subtle souls one can do spiritual practice as given below. Inability to get married, marital disharmony, difficulty in conceiving a child, miscarriages, mentally retarded or handicapped child or all female progeny, death during childhood, etc. are some of the indications of suffering due to ancestors’ subtle bodies. Poverty, physical illness, etc. can be some other indicators. If one has no problems at all, to avoid suffering in the future or if one has a minor problem, one should chant three malas (rosaries) of ‘Shri Gurudev Datta’ everyday. Apart from this to avoid suffering due to destiny as well as to make spiritual progress one should do maximum amount of chanting of the Name of the family deity. If the problem is moderate, then along with chanting of the Name of the family deity one should chant atleast six malas of ‘Shri Gurudev Datta’. In addition every Thursday one should visit Shri Datta’s temple and perform five circumambulations and chant one or two malas of ‘Shri Gurudev Datta’ in the temple, for atleast a year. Thereafter one should continue to chant three malas. Shri Datta Jayanti (Birthday of Shri Datta): Devotees of Lord Datta celebrate His birthday on the full moon day (pournima) of the Hindu lunar month of Margashirsha. Read more at What is the significance of chanting Shri Gurudev Datta? 8. I use sesame seeds and water for tarpana ritual and offer the oblations into a pot. I have observed that seeds have started to germinate. I have heard that seeds should not germinate. If so, what should I do with the germinated seeds? What is the best way to dispose the seeds and water? The oblations of sesame seeds should be disposed off in the root of the tulsi plant or any other tree or immersed in flowing water (river or sea). Once immersed, later, even if the seeds germinate, one is not affected by it as they are already immersed. The oblation of sesame seeds should be disposed off as early as possible. 9. Please guide whether shraddha in Gaya is performed once in a life of a person or it can be done any number of times? 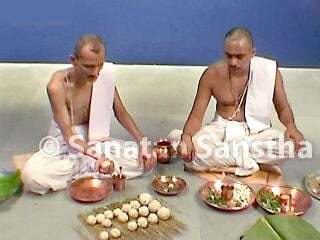 The shraddha at Gaya can be performed any number of times.